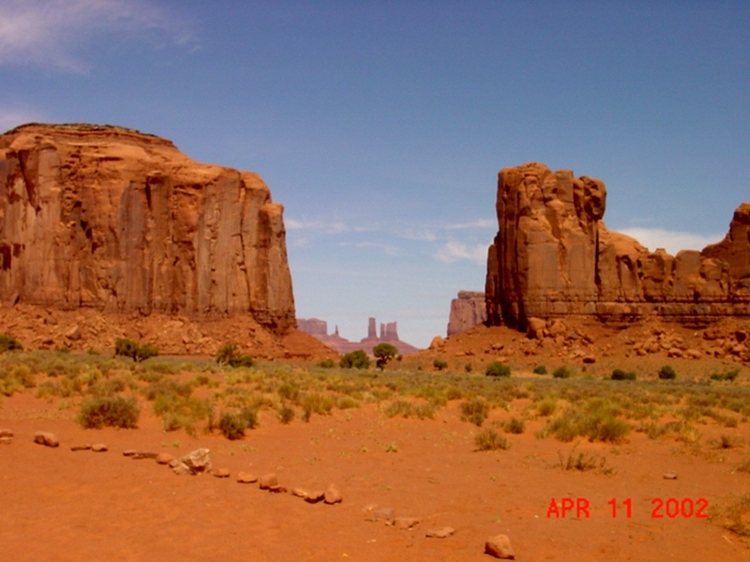 The terrain now is mostly desert like with beautiful red soil. 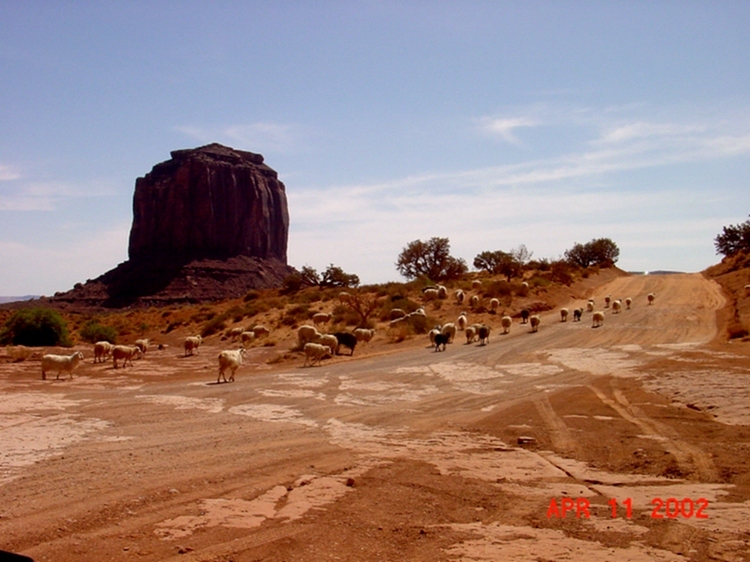 If you are going to stay in Goulding, coming out of Canyon De Chelly NM, go north on Hwy 191 to Hwy 163 near Bluff, Utah. 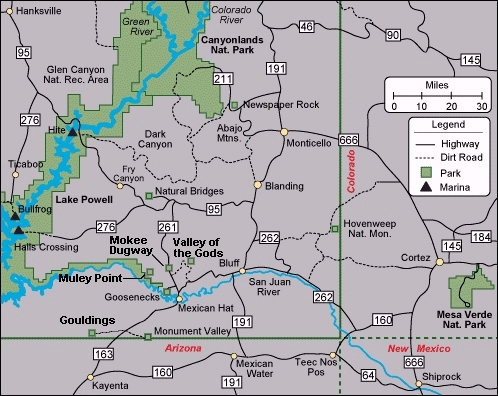 Go west on hwy 163 to Goulding -- great views in that direction, see fotos below. 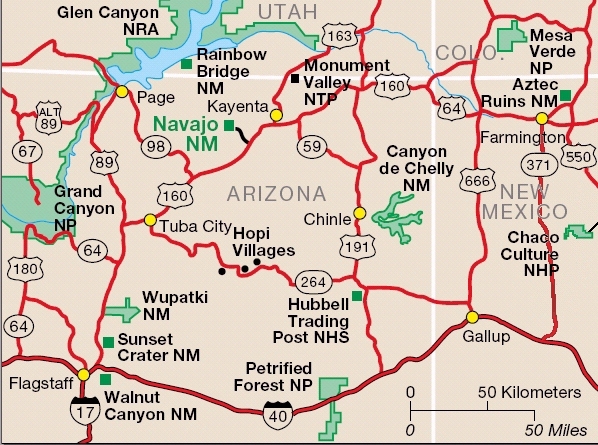 If you are going to stay in Kayenta, coming from Canyon De Chelly, go north on Hwy 191 then turn left, northwest, at Many Farms onto Hwy 59. 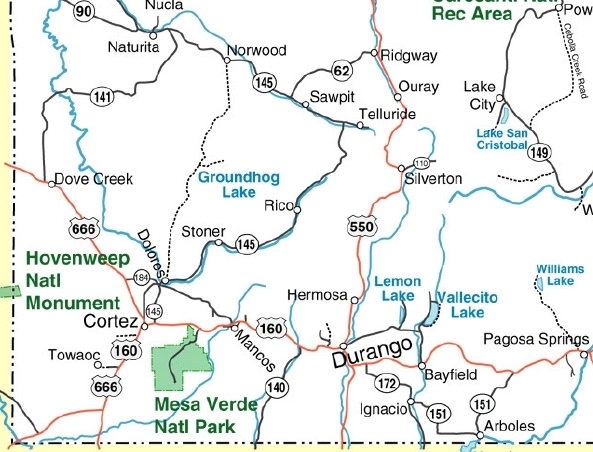 Hwy 59 is a secondary road which we have not been on. 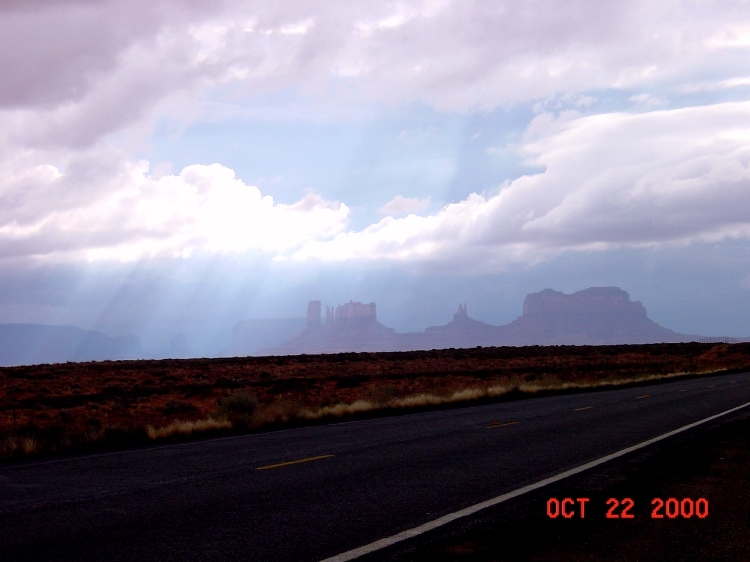 Turn left, west, on Hwy 160 to Kayenta. 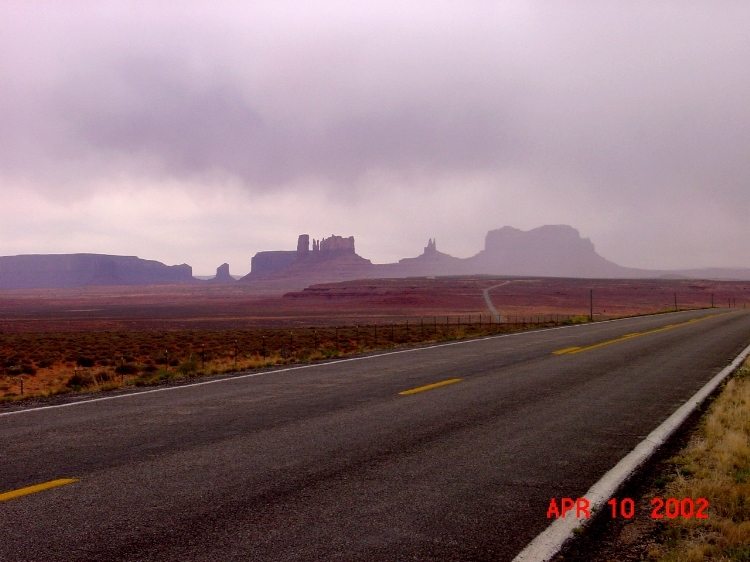 It's about 20 miles north to Monument Valley on Hwy 163 from Kayenta. 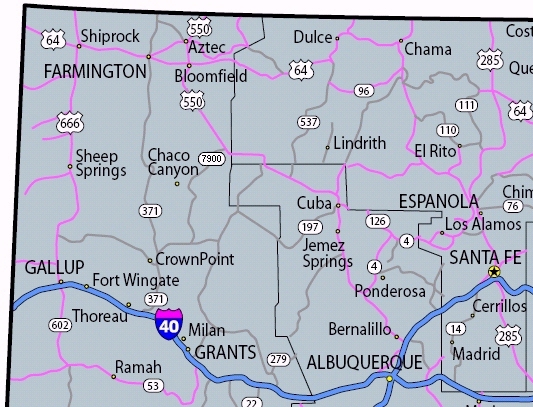 Stay in Kayenta or Goulding? 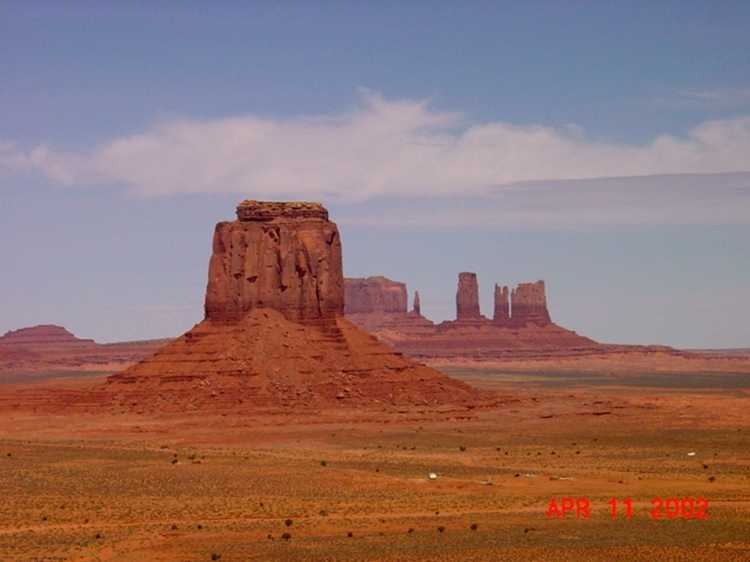 Goulding is right in Monument Valley -- that's were John Wayne and John Ford stayed while making those popular western movies. 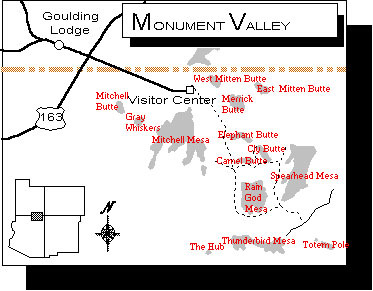 You can reach Goulding's Lodge and Trading Post at 435-727-3231 for rooms, dinning, Earth Spirit show, camping and tours. Even if you don't stay at Goulding, you should visit their museum. 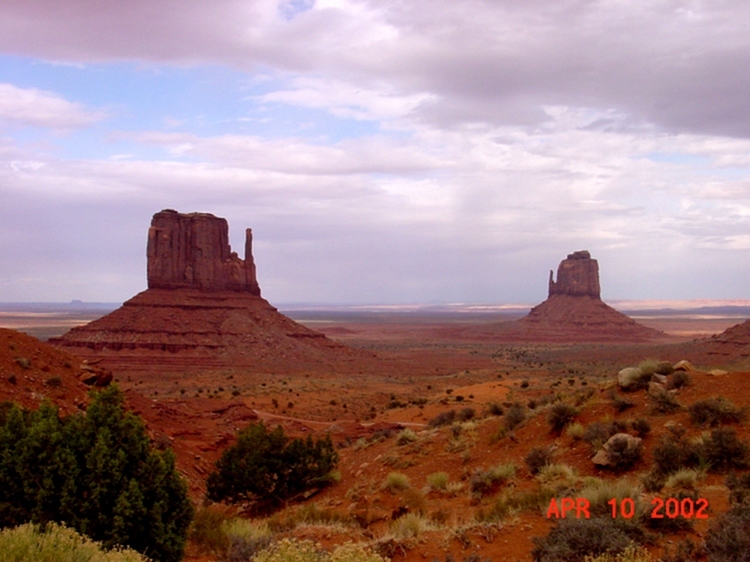 Fantastic red rock buttes! 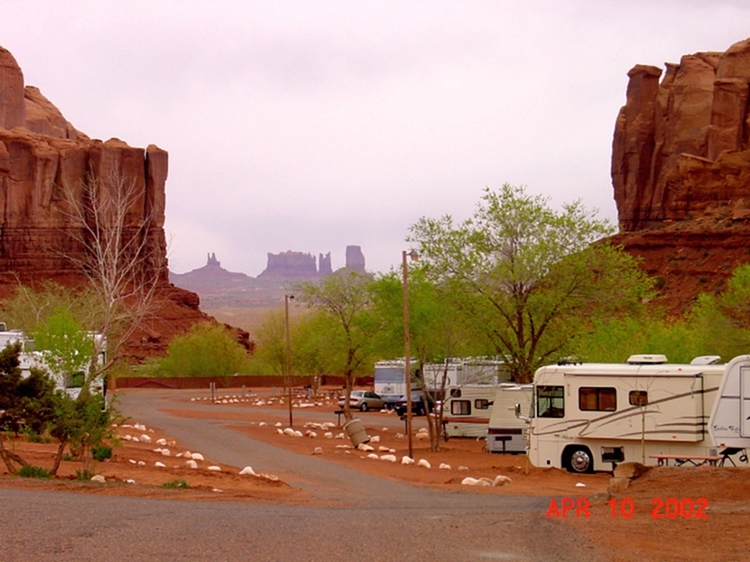 Take the 4 mile drive into the park to the Tribal Park visitor center. 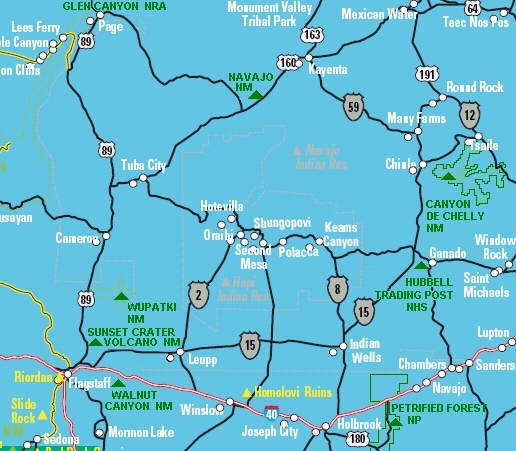 The scenic drive on the canyon floor starts here at the visitor center, the one without the guide, and it is very good -- a must see. Next time we want to take the whole day trip with a guide. 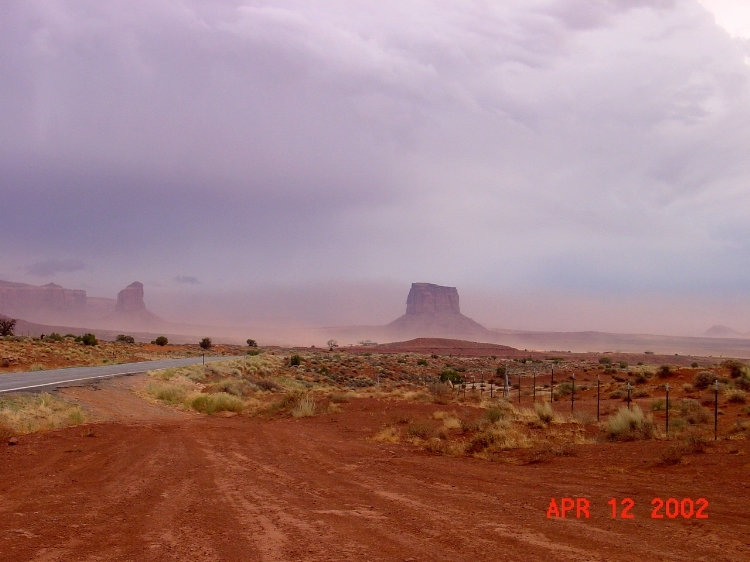 It seems it's frequently stormy in Monument Valley. 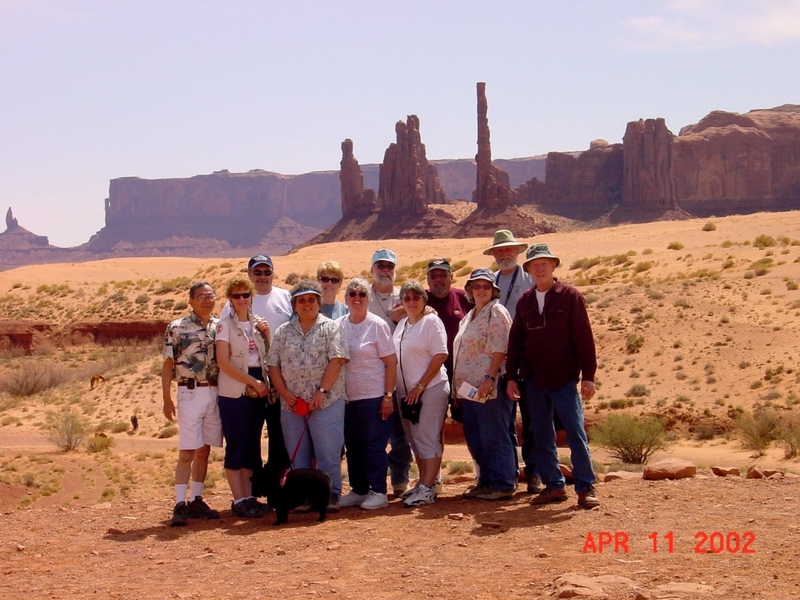 We hope to be there later in the month of May on our way back from Canyonlands NP but it will be after you have left, too bad. It takes about a day to see the park. 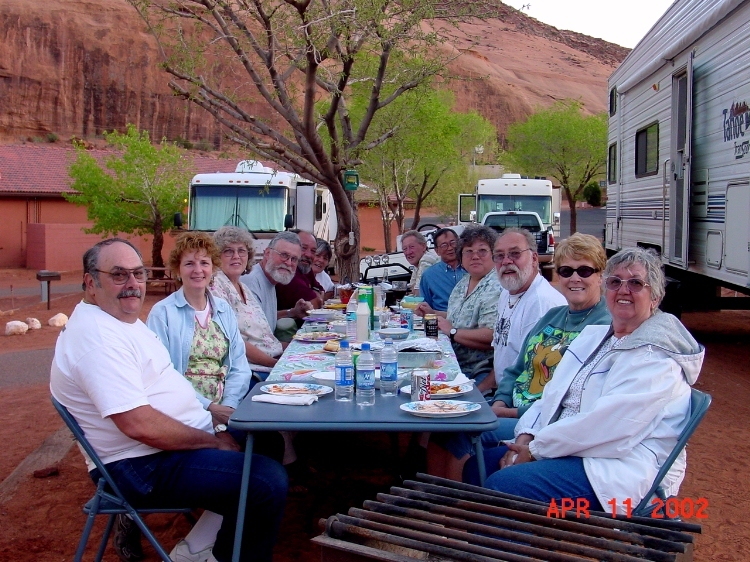 Relax though, and stay another day or two and enjoy the scenery and explore -- see Goulding's Trading Post, perhaps a tour by Goulding's or see the next page for some ideas -- it's a long ways to go back there again. If you have not done it already, go east well past Mexican Hat on hwy 163 to a very big turn out in the south side, then turn around and come back for the views -- see the first three fotos below. Opening like this is called a "window"
This is our "Saturday Night Cheap Eats and A Movie Bunch"
Our white coach has a room with a "window to the world"